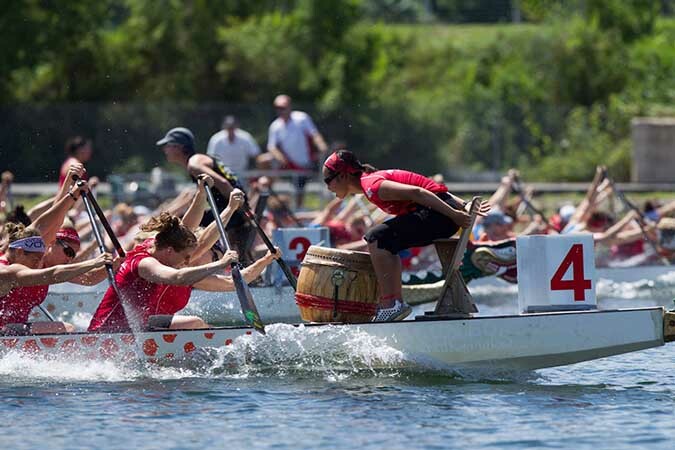 The annual KARM Dragon Boat Festival is set for Saturday, June 22, 2019, at The Cove at Concord Park. Register your team now for a fun, family friendly day on the water while raising funds for the homeless and those in need in our community! Local businesses are also needed to be sponsors of the 2019 Dragon Boat Festival. If you'd like to align your business and brand with the largest event of its kind in Tennessee ... an event that also helps Knoxville's homeless and hungry, contact Yvonne Key at 865-633-7653 or by email at ykey@karm.org. Visit www.karm.org/dragonboats for all the information you need to create a team of family, co-workers, friends and community partners to enjoy a day of high-octane fun on the water! Don't want to race but want to help? Opportunities are available to volunteer or be part of a "virtual boat" of fundraisers! Knox Area Rescue Ministries is home to nearly 400 people each night and serves nearly 1,000 meals daily, caring for those in need as a Christian ministry since 1960.